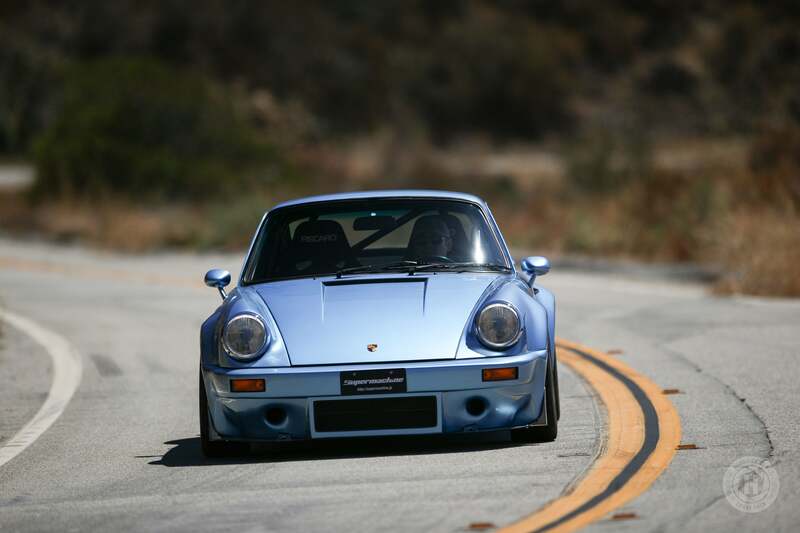 Porsche enthusiasts will call it blasphemy on wheels, but Tomoya Watanabe wanted to create a car with power and reliability without complexity that comes with turbocharged boost. 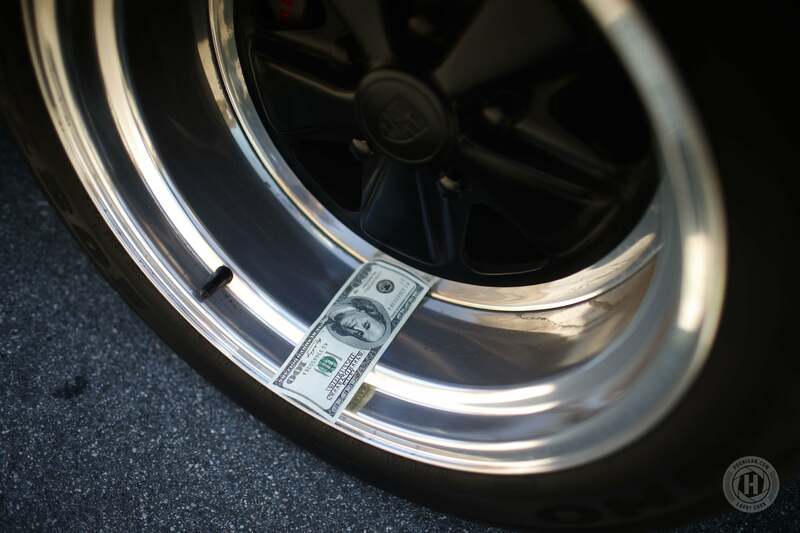 That’s what led him to install GM’s LS7 V8 under the rear deck. 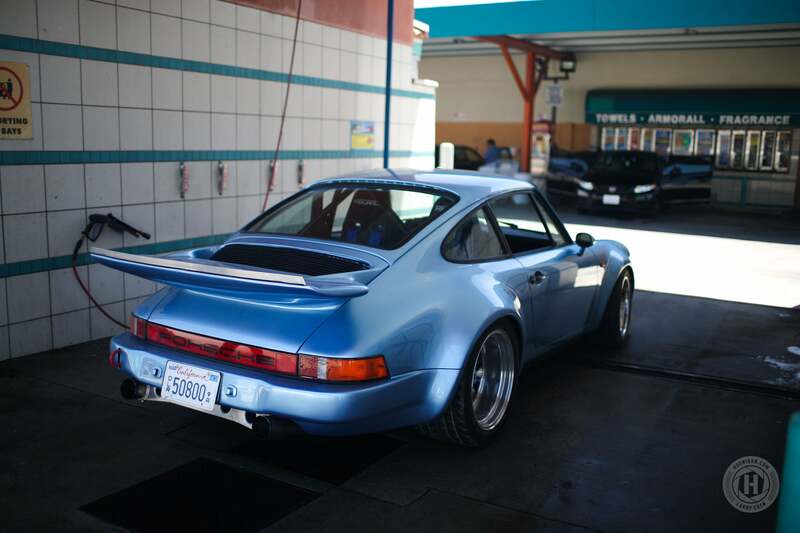 While unusual, V8-swaps under Porsches aren’t completely rare. Well, at least here in the US. 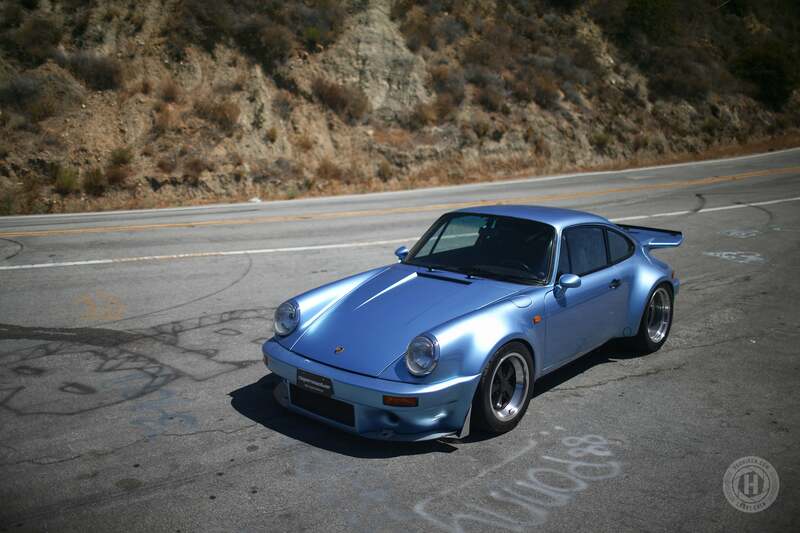 With a market of rear-engine sand rails and V8-swapped Beetles, a Porsche isn’t too far removed from a similar swap. It makes even more sense when you consider that GM V8s have gained more power, better mileage, reduced weight, and improved reliability since the 930 debuted in 1975. 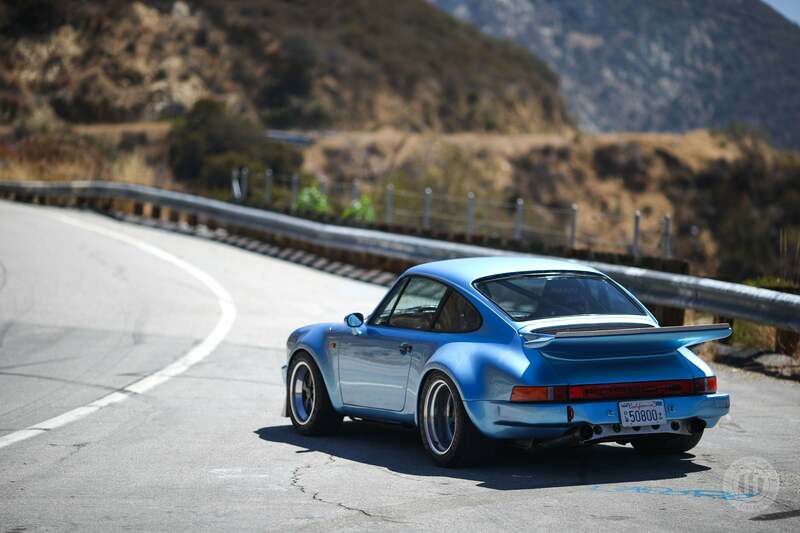 Back then, a turbocharged 930 produced anywhere from 256 horsepower in the 3.0-liter with a single KKK turbo to 296 horsepower in the 1978 model with a 3.3-liter turbo with an intercooler. 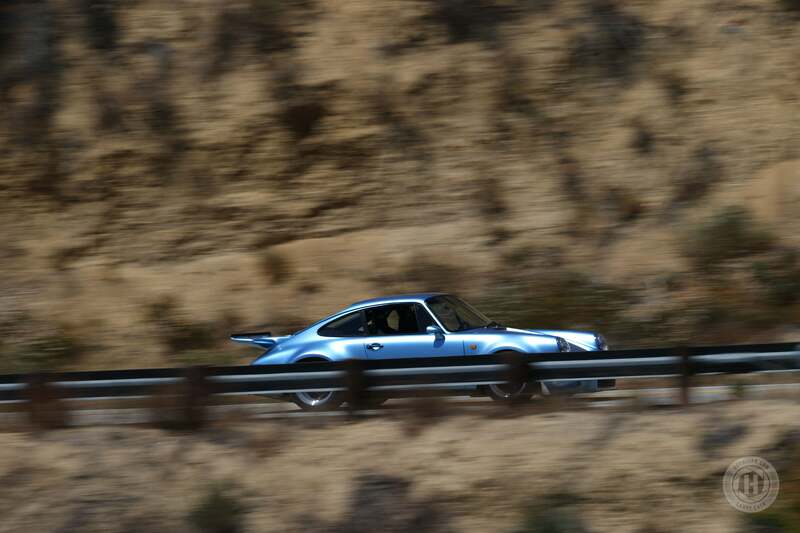 Europe was able to get a 330 horsepower version with a “build-to-order” 930 in 1983. All very impressive numbers, even to this day, but a far cry from what you can get out of two more cylinders and some additional displacement. The LS7 is a Generation IV V8 from General Motors and was based on new architecture first seen on the LS2 in 2005 and the C6 Corvette. 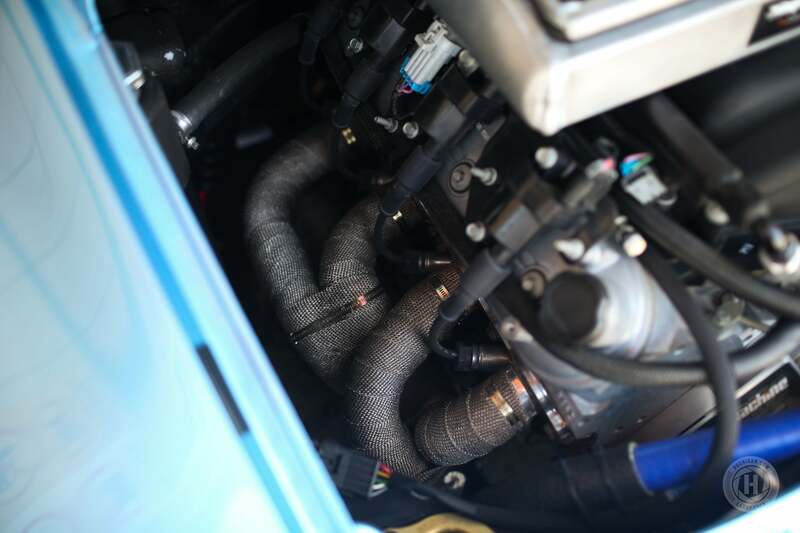 Those changes came in the form of larger connecting rods, a better piston design, and the ability to increase the bore size of the aluminum block’s iron linings from 4.00-inches to 4.125-inches. Combined with a four-inch stroke, you got a displacement of 427.8-cubic-inches or 7.0-liters. However, that bore size is only possible because they are “siamesed,” meaning there are no water passages between the cylinders. 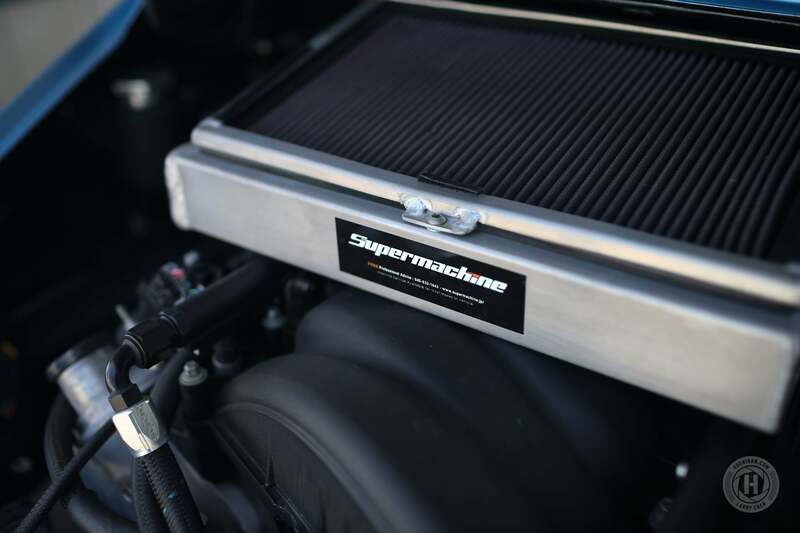 This increases block strength but cooling the cylinder head becomes more critical on an engine used in a road going vehicle like the Corvette Z06. That being said, GM did a good job and the engine was not only capable of 8000rpm but made 505 horsepower at 6300rpm and 470-lb/ft of torque at 7100rpm. 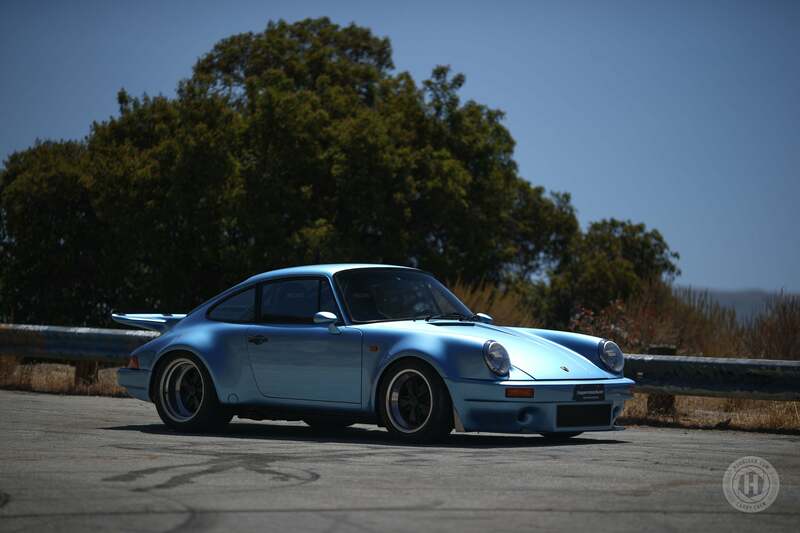 No turbos, no superchargers, just pure, natural aspiration. 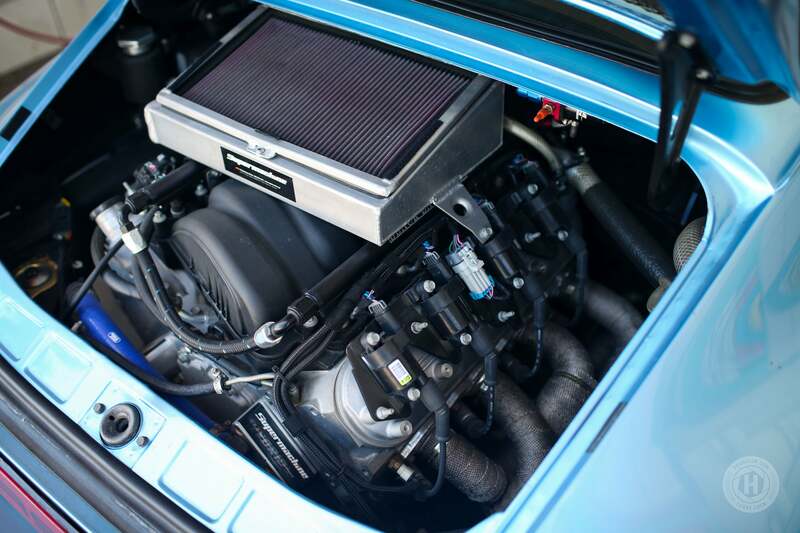 With a bit of work with a new camshaft with heavier springs, a better intake manifold, and a free-flowing exhaust, it’s possible to wring out another 50 to 70 horsepower with a proper tune and high-octane fuel. That’s the beauty of a V8; you can make more power without any additional stress. 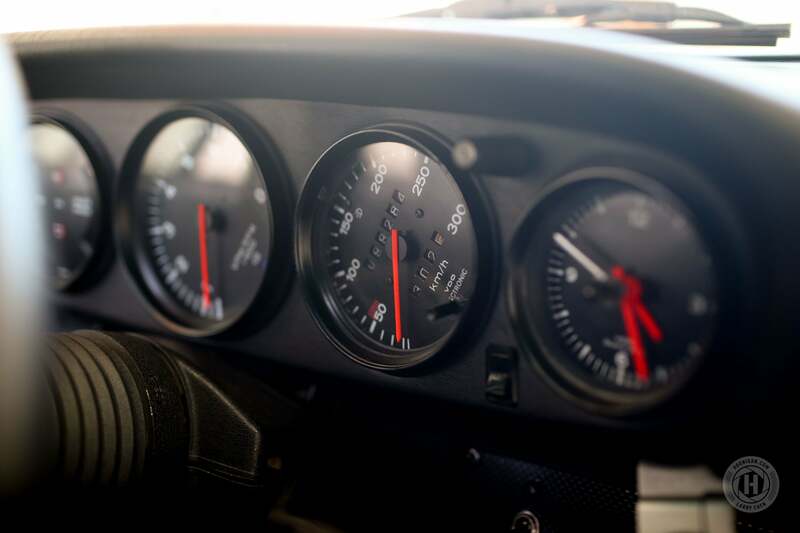 However, that doesn’t mean something else isn’t going to get stressed when you’re making more power than the 930 did from the factory. 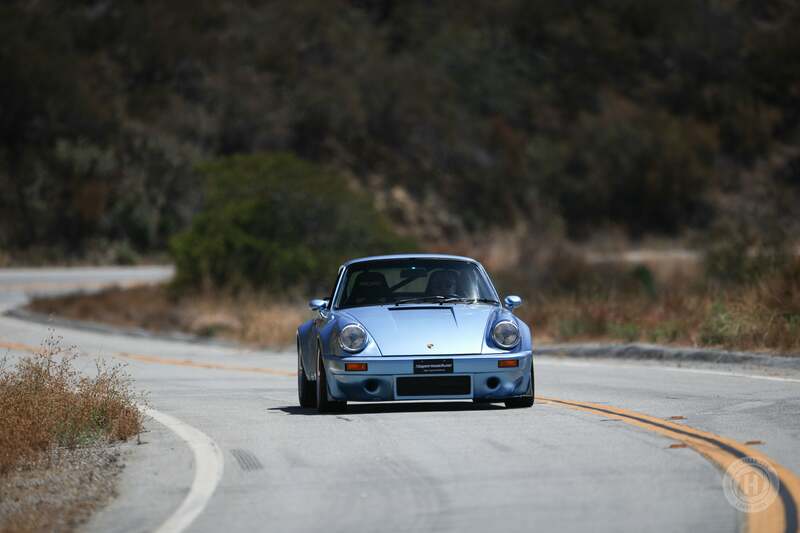 Thankfully, the aftermarket and years of high-horsepower Porsches have evolved the transaxle gearbox into something that can take more. Inside Watanabe’s is a proper, modern LSD with custom hardened components including the ring and pinion gears. 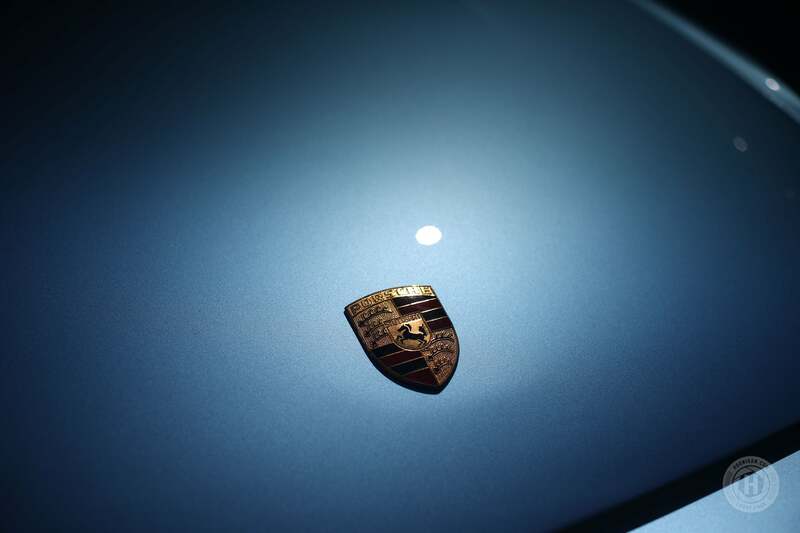 It also gains a transmission oil cooling system for additional protection. 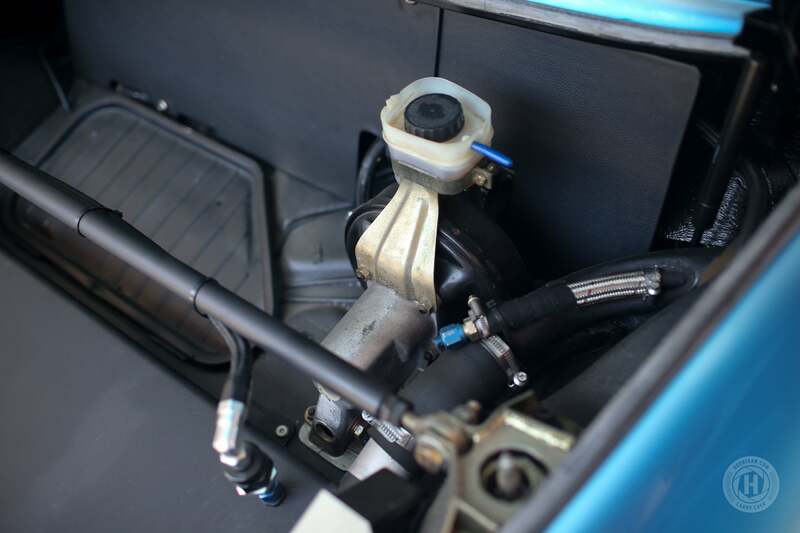 The bellhousing is shortened and modified to work with the Small Block Chevy bellhousing pattern, which also meant that the mainshaft had to be shortened, too. 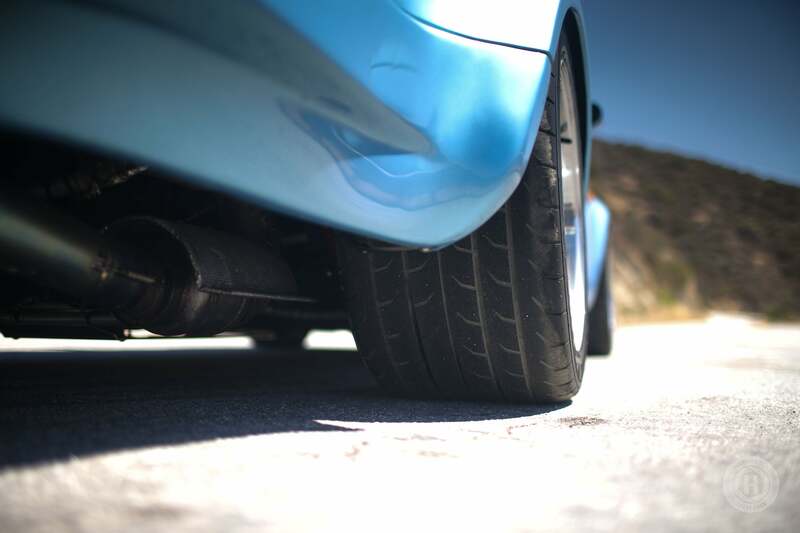 Connected to the input shaft is a KEP lightened HP Clutch while a pair of heavy-duty and custom-made axles send power to the rear wheels. Even with the V8 powerplant in place, the swap is not immediately apparent until Tomoya puts his foot to the floor. 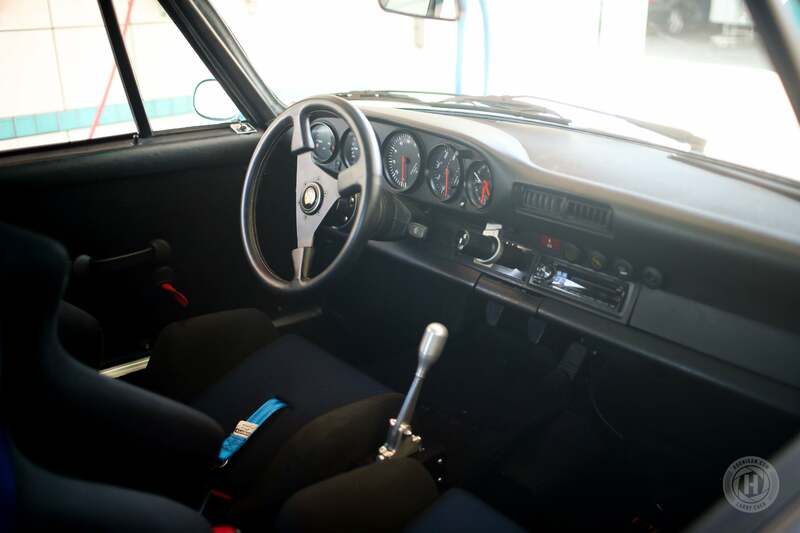 Everything else on the build has that familiar air-cooled feel. 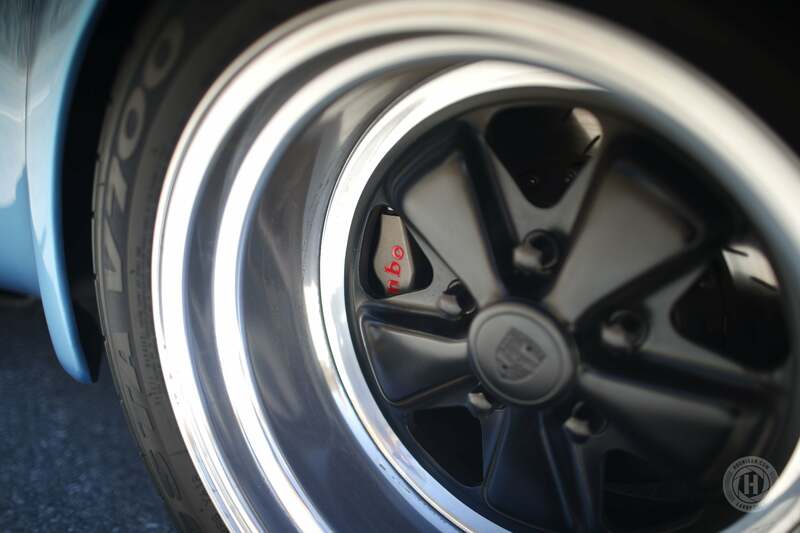 The footwork, for instance, is classic Porsche with Fuchs wheels all around. The 16x8 fronts are wrapped in 225/45R16 Kumhos, while out back the 17x11s are wrapped with either 315/35R17 Kumhos, or the stickiest of icky Hoosier drag radials in the same size. The brakes are Brembo Racing four-piston front and rear calipers with two-piece Performance Friction discs in 323x29mm front and 313x25mm rear. 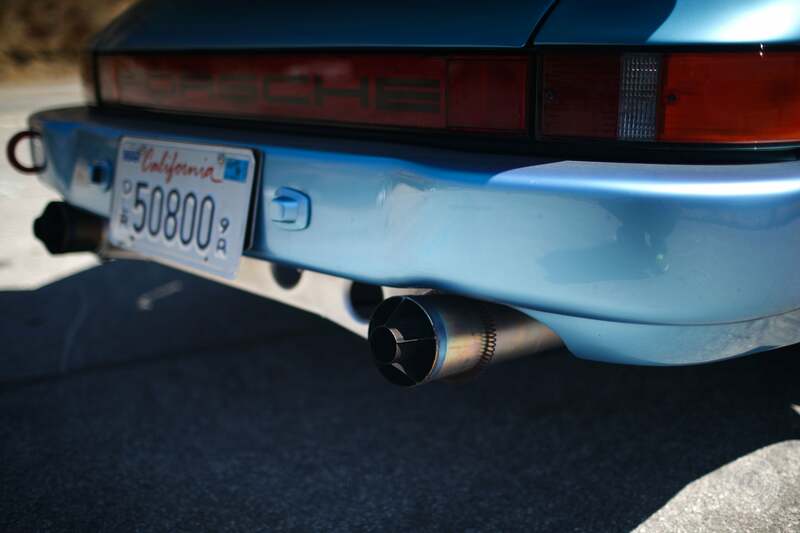 Outside Tomoya keeps it on the Porsche down low. 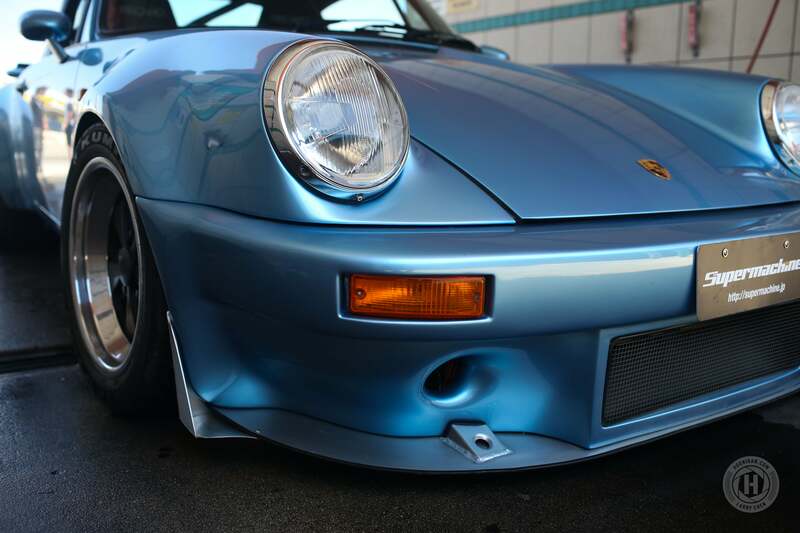 The 934 RSR style front bumper with custom canards and splitter don’t give any hint to the V8 driving the car. 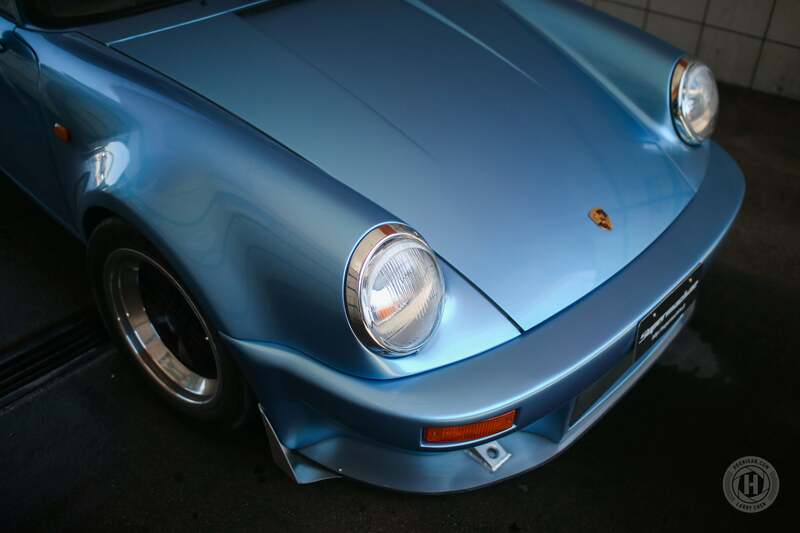 The IROC style rear spoiler with a custom Gurney flap helps add some downforce to the rear at speed. 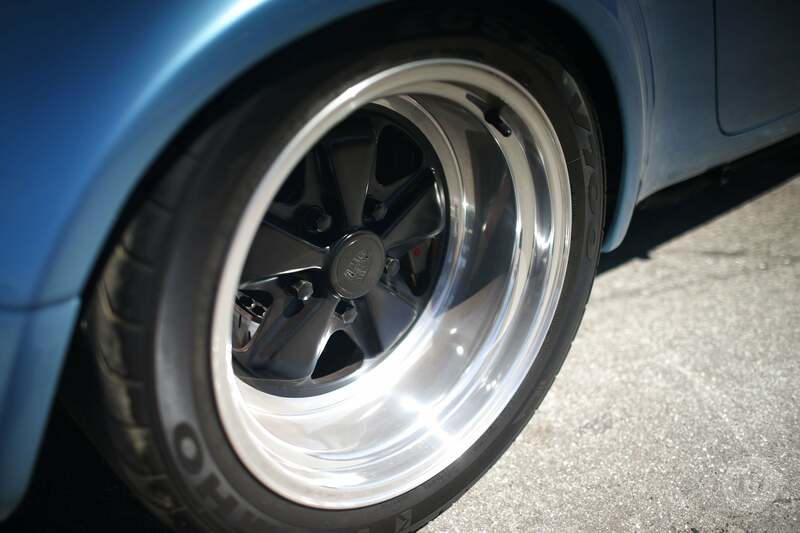 The stance is all Sachs coilovers with Hyperco 350-lbs/inch springs in the front and 450-lbs/inch in the rear. 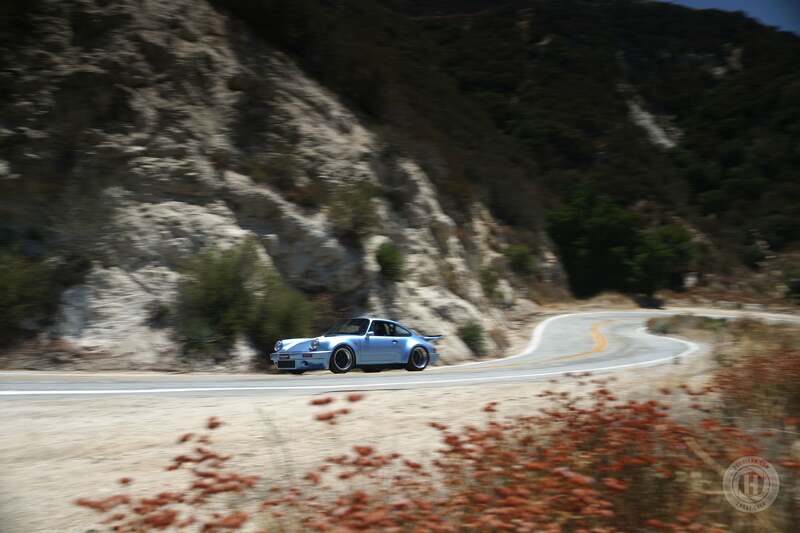 A Tarett Engineering 935 suspension kit includes their sway bar while an Elephant Racing quick-change camber plate makes adjustments quick and easy. 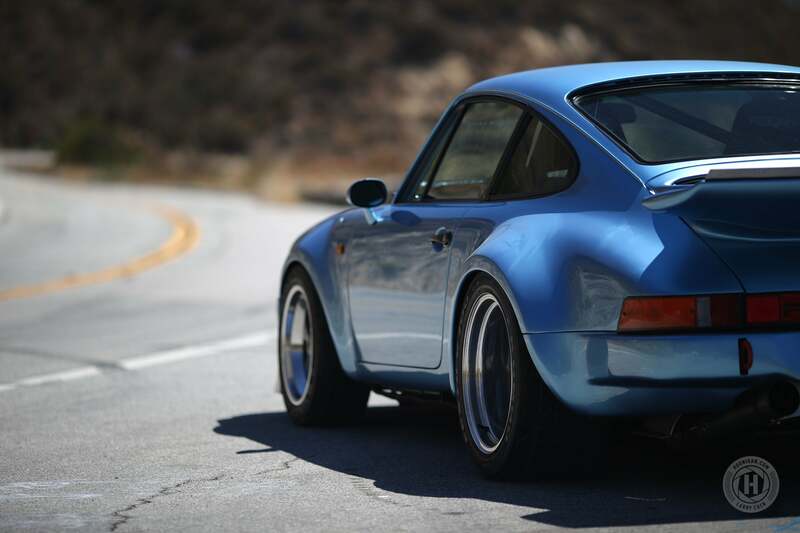 The rear has more Tarett Engineering parts with their 935 spring plate, sway bar, and sway bar drop-link kit. Elephant’s monoball cartridge trailing arms are also used. 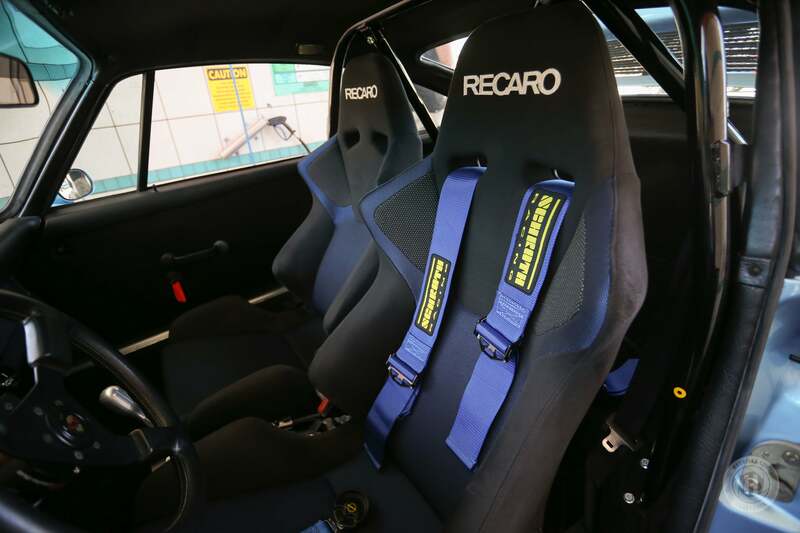 If you’re going Porsche, you can’t go wrong with a set of Recaro reclining seats with Schroth harnesses. For rollover protection, a roll hoop with rear down tubes secures Tomoya and his passenger from roof collapse. 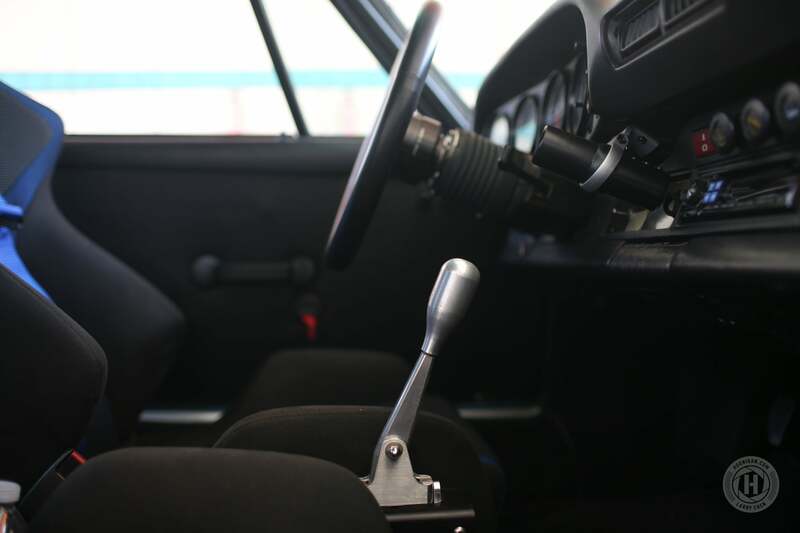 A billet shift lever with matching knob makes gear changes feel right and effortless while the steering wheel is a classic Porsche racing style unit. 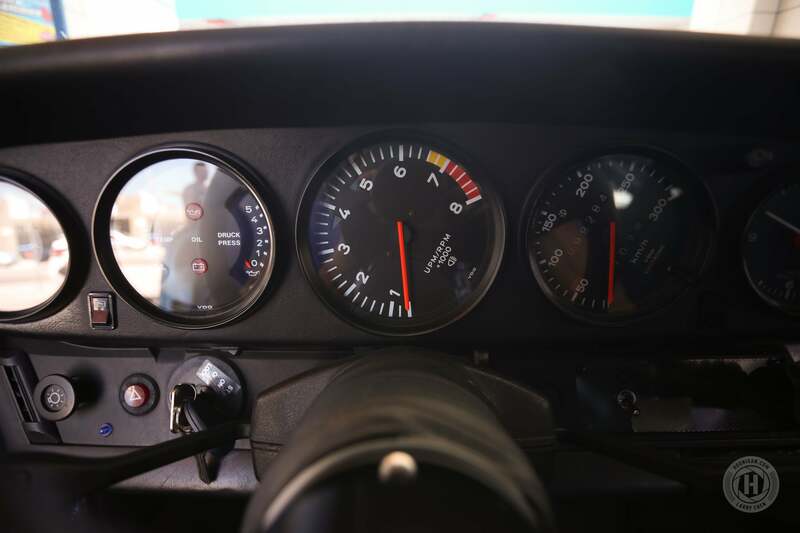 The rest of the interior is all OE Porsche, but the tachometer is rotated so that when Tomoya sees the needle go 12 o’clock, he knows its time to grab another gear. Of course, with all this work to the exterior and interior, was the engine really not worked over at all? 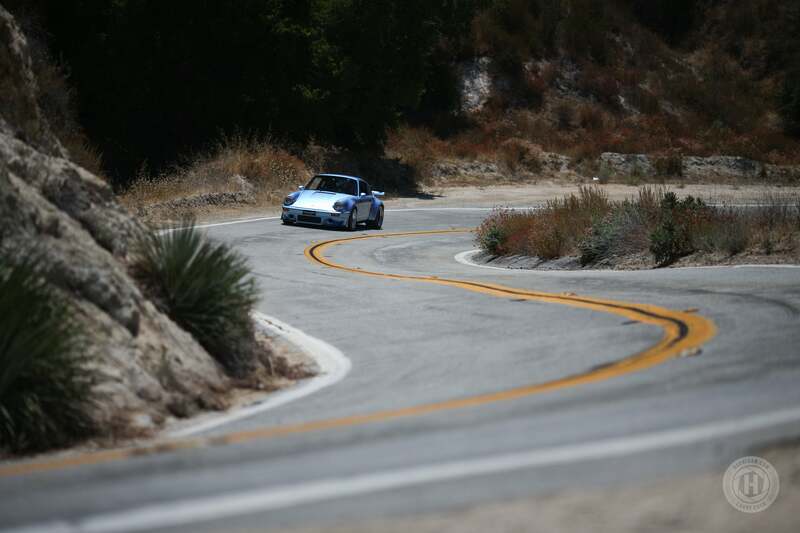 Well, internally, it’s still the same as it left the hands of the GM engineer who built it. Outside, though, it does feature a set of sand buggy style, wrapped exhaust manifolds with a Supermachine custom titanium system. The intake manifold is turned 180-degrees to allow the decklid to close and still have something of an intake to work with. You can do this because the heads of all LS engines are not only interchangeable – provided you have the right bore size – but can be swapped from left to right and everything still works. Accessories still bolt on to the heads and the intake still fits. 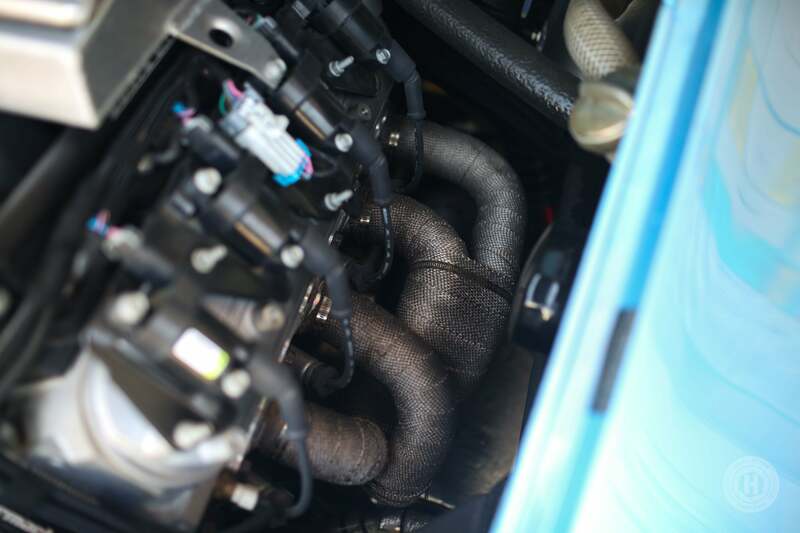 This also means you can flip the intake manifold around so that the throttle body faces backwards from its stock location if you need it to. This is something many LS-powered sand rails do, as well. 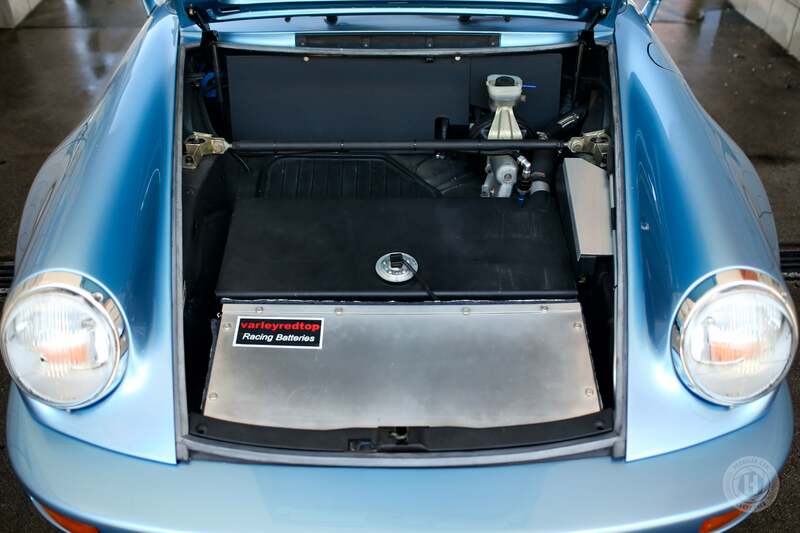 Tomoya’s also uses a custom Supermachine air cleaner housing that sits on top of the intake and gathers air from where the original engine would have for cooling.